EDMI’s recent expansions and success in key metering markets have attracted a lot of publicity recently. Asia Outlook Magazine is one of many international media outlets that is showing interest in EDMI’s achievements and this issue, EDMI is showcased as the cover story – an interview with EDMI Group Managing Director, KM Lee. 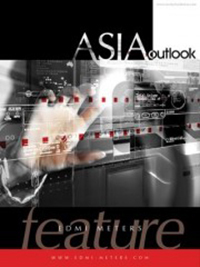 Asia Outlook is a digital and print publication with content written in a wide range of industries across Asia by a team of top journalists. Click here to view EDMI’s Business Profile. 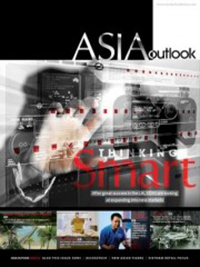 The article with EDMI’s profile will appear until April 2015 on the ‘Outlook Features’ section of Asia Outlook’s website.